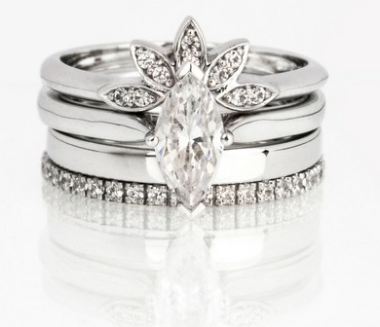 In order to begin the New Year in style, we will be releasing a fantastic new range of shaped wedding rings in January! This exciting collection will feature beautiful designs that are perfect for stacking alongside engagement rings, existing wedding rings and eternity rings in order to create your own distinctive look and style. Be creative with new shapes, different colour combinations and original ideas.The possibilities are endless! That isn't allâ¦ As well as our improved offering of shaped rings, we will be launching an exciting range of coloured and textured rings featuring trend led, modern designs that incorporate a variety of textures and finishes. Combine different coloured and textured bands to develop something that is unique - Perfect for those that want to stand out from the crowd! We believe that 'Personalisation' and 'Provenance' could be the two major retail trends that will have an ongoing impact throughout the High Street in the coming year. Our new shaped wedding rings coupled with our coloured and textured rings, which are all available in a wide range of designs, alloys and finishes, have been created with the purpose of giving consumers a heightened sense of personalisation. Our Creative Director, Naomi Newton-Sherlock, had this to say: "You only have to look at brands such as Nike and Mulberry to understand quite how important it is to offer shoppers the chance to reflect their own personality in the products they buy. Both these businesses and many others too, offer literally hundreds of different options in terms of colours, materials and finishes to ring the changes on the same basic product. "Personalisation in jewellery isn't just about engraving initials. It is about being able to create your own unique take on an iconic product to reflect your own look." Aside from personalisation, we have also been noticing some changes in the way that people buy and use our jewellery. Our New Product Development team are always on the lookout for new trends and buying patterns. Naomi also had this to say: "Consumers are ringing the changes in how they pick and wear their jewellery. 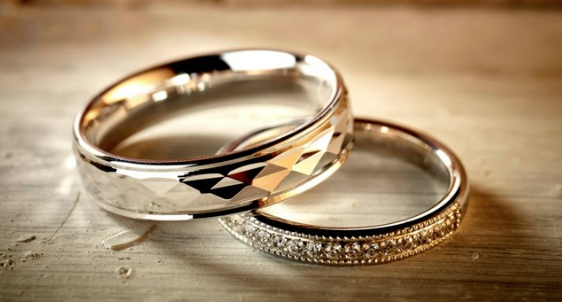 What were traditionally considered dress rings are now being worn as engagement rings; eternity rings and wedding rings are now being used as stacking rings and eternity rings are worn as wedding bands. This is exciting news and I believe that both manufacturers and retailers need to embrace the opportunities it brings and look at more imaginative ways of both creating and marketing jewellery. 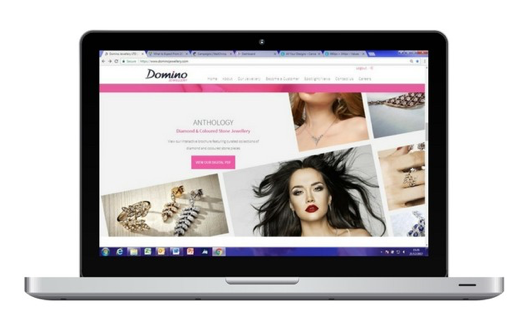 Domino is certainly working on this assumption and I think retailers will be surprised and delighted when we launch our first new designs." If you would like to read more about Naomi's views on upcoming trends, take a look at this article by Jewellery Focus. Following the success of our Anthology digital lookbook in September 2017, we will be launching more products in this way. This will provide retailers with easier-than-ever access to our products in a simple, modern format. With live links to products, important product information and stunning photographs, digital lookbooks could well be the way forward. We are currently working on several website developments, so stay tuned throughout the year for advances that will improve our digital offering and make it as simple as possible to access products online. We are proud of the fact that we have the facilities to manufacture our own products from scratch, right here at our home in Birmingham's Jewellery Quarter.Both our Wedding Rings collection and our Diamond Ring Mounts range, as well as everything that you can find in our Originals and Handbook brochures are designed and manufactured in-house. Last year we invested heavily in training and technology, allowing us to offer even more products that are "Created & Crafted" in the UK. From design to manufacturing and distributing, we will continue to improve our in-house offering whilst providing the highest levels of customer service, adhering to our company values at all times. There is plenty to look forward to, but for now Domino would like to wish everyone a Merry Christmas and a Happy New Year!!! Have a lovely break, we'll be back on January 2nd.